This class was taught over six weeks at the Wyoming Women’s Center and sought to explore female representation in literature. The aim of the course was to encourage the students to develop their voices, tell their own stories and craft fictional stories that speak in an authentic way about the female experience. Students turned in a final portfolio full of polished writing from the course as a capstone project. During our last class, each of the students shared a portion of writing they had completed for the course and gave each other feedback. Together, we cultivated a collaborative group environment and explored the power of storytelling. 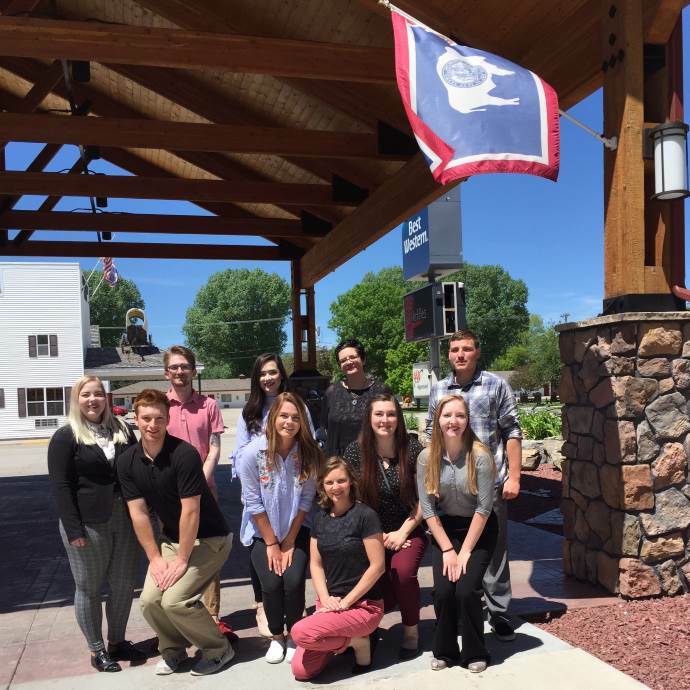 Taught over the course of three separate sessions at the Wyoming Honor Conservation Camp, this class helped incarcerated men hone their storytelling skills as a means to develop stronger bonds between prisoners and their children. Wyoming DOC Correctional Education Programs Manager Hayley Speiser and WPfP co-coordinator Susan Dewey co-facilitated this class with a special guest lecture by UW Theater and Dance Professor Cecilia Aragon, who is a world authority in the subject of theater for young audiences. After developing and practicing their storytelling skills, prisoners read a story to a special child of their choice with a puppet on camera and WPfP covered the costs of mailing the book, DVD of their performance, and the puppet to the child in time for the holiday season. Prisoners also actively worked with Dewey and Speiser to offer recommendations about what UW students could do to help develop a handbook for incarcerated parents, a project Dewey is currently undertaking thanks to the leadership two UW students, Riley Realing and McKenna Lipson. Dr. Robin Barry, an assistant professor in Psychology from University of Wyoming, and Dr. Susan Dewey, an associate Professor in the School of Culture, Gender & Social Justice at the University of Wyoming and an unpaid staff member at the Wyoming Department of Corrections taught Introduction to Psychology at the Wyoming Medium Correctional Institution. The course covered a broad overview of topics in psychology including research methods, the human brain and biological correlates of behavior, personality, human development, and psychopathology. Students were asked to integrate and apply topics in psychology to their own experiences and observations through weekly essay writing and in-class discussion. In the fall of 2018, Hunter Augeri, a graduate student in English at the University of Wyoming, taught a seminar and writing workshop titled "Alternative Autobiographies." Featuring texts like Lyn Hejinian's My Life and Joe Brainard's I Remember, the twelve students at the Wyoming Medium Correctional Institution were challenged to study how twentieth-century writers break from and experiment with traditional storytelling techniques. Throughout the class the students developed their own autobiographical narratives that built off of various styles of constrained writing practices. Over the course of four weeks, Leslie Waggener and Katie Christensen visited with twenty students at the Wyoming Women’s Center to provide instruction and guidance in various mindfulness and meditation techniques. Practices were introduced to enhance self-awareness and the ability to manage stress and anxiety. This class was made possible by a grant from the Trust for the Meditation Process, a charitable foundation encouraging meditation, mindfulness and contemplative prayer. 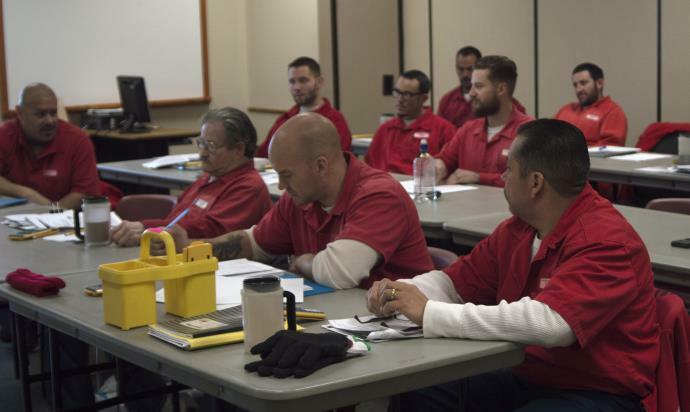 Philosophy in Prison programming continued in 2018 with the offering of an onsite Stoicism class to incarcerated students at the maximum-security Wyoming State Penitentiary in June and the Wyoming Women's Center in July (a total of forty-one students). Dr. Robert Colter (UW Philosophy), along with Alec Muthig (WPfP coordinator), Cody Mehrer, Riley Shogren, Steve Williams, and Jackson Colter (recent UW graduates), facilitated a week of reading philosophical texts (including Epictetus’ Handbook and Marcus Aurelius’ Meditations), intensive discussions, and personal reflections. The capstone writing assignment asked students to compare/contrast their past-selves to imagined selves who practice Stoic principles. Dr. Katy Brock taught Memoir Writing in Prison, a course which involved collaborative work between nine University of Wyoming, Gender and Women's Studies undergraduate students (Kenna Skoric, Chantelle Runion, Kamden Weis, Jase Madsen, Riley Eaton, Julieanna Emmett, Connor Fitzgerald, Mel Mofield, and Alexandra Eisele) and eleven Wyoming Women’s Center students. During eight days of intensive work, the students read Wild: From Lost to Found on the Pacific Crest Trail, a memoir by Cheryl Strayed, discussed the pivotal moments of Strayed's life, and reflected on pivotal moments in their own life. UW students facilitated, supported, and guided WWC students as they drafted, revised, and prepared their own memoirs for publication. "After taking a Women and Gender Studies class, I found it to be very inspirational and beneficial to be able to go to the prison and work with the women incarcerated there. There is a big difference between reading articles or studying a text book, than actually being able to work hands-on and being able to learn new things yourself, by helping others. Real life experience is the best learning experience." "This is the second writing class I have taken since I came to prison in October. I have not only learned to write better, but through the reading and writing assignments, I have gotten to know myself better." "When I came to WWC from a prison in Oklahoma, some of the ladies told me that WPfP offers college classes at WWC. I was so excited when this class was posted. This is the first college class I have ever taken and I hope to take more. The women here are really excited about learning and college classes. For most of us, it is our first chance at college. We don't want to let it pass us by." "I would have never thought that anyone would learn from me. Look at me, I'm in prison. I guess that's just the point; look at me I am in prison. I hope young girls read my story, learn from me, and avoid prison. I hope they read my story and realize I could have avoided prison. I hope they they take my advice so they too can avoid prison. If a man hits you, he will always hit you. Leave the first time he hits you, its not going to get better. Leave before you loose yourself and your freedom. Learn from me!" 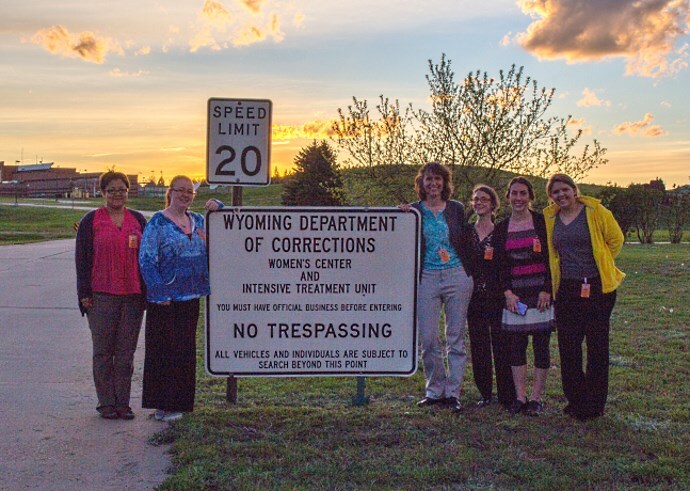 This service learning course taught by Katy Brock at the University of Wyoming combined both academic literature and research to develop an understanding of women’s prison pathways. The course helped students understand the many challenges of incarcerated and formerly incarcerated women, while introducing them to women’s incarceration, recidivism and community reintegration through an examination of academic literature and guest speakers. 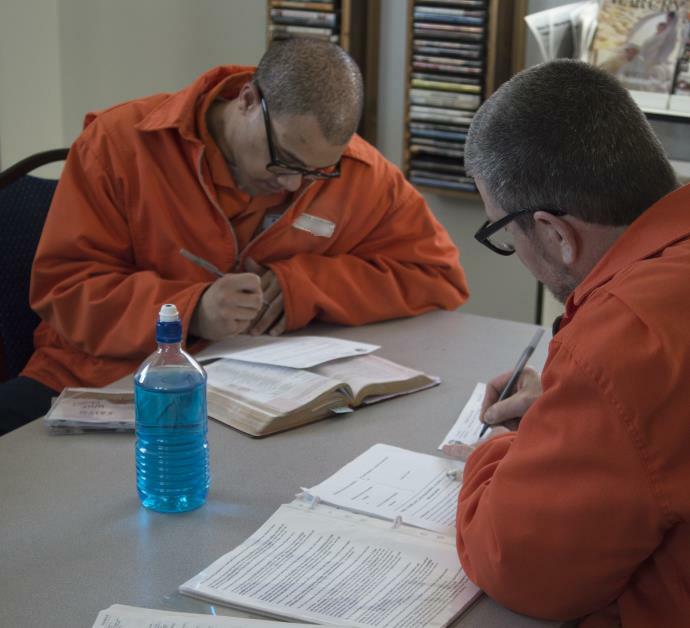 Students enrolled in the course also created course curriculum that can be taught through the Wyoming Pathways from Prison program and by the Department of Corrections. The curriculum included; Equine Nutrition, Farm and Ranch Management, Introduction to Women's Studies, Wyoming Government, American Indians of the West, and more. For a week in January 2018, Susan Dewey and Katy Brock (WPfP coordinators) provided financial literacy training to a class at the Wyoming Honor Farm men’s correctional facility. The class focused on key aspects of financial literacy to consider while planning for life after release from prison, including personal finance and budgeting, managing bank accounts, credit cards and loans, building and maintaining good credit, obtaining affordable housing, career planning, and more. The fall 2016 version of the tutorial education course Wyoming Pathways from Prison coordinator Katy Brock offered at the Wyoming Women’s Center (WWC) was so well-received that Brock decided, in cooperation with the Department of Corrections, to add a research component to a summer 2017 version of the class. As part of the class, Brock collected student work and comments – after obtaining participants’ consent and removing all names and identifying information – to help design a manual to assist incarcerated people with becoming peer tutors. Wyoming Pathways from Prison coordinator Dr. Susan Dewey and UW students Kyria Brown and Devon Thompson, along with coordinator Alec Muthig providing remote instruction, assisted Brock with the summer 2017 course at the WWC. In summer 2017, Dr. Robert Colter (UW Department of Philosophy), Alec Muthig (WPfP coordinator), and UW philosophy graduate students Cody Mehrer and Jordan Seaver offered this intensive weeklong introduction to Stoic philosophy and its practical application to men incarcerated at the Wyoming Honor Conservation Camp and Wyoming Youthful Offender Program. 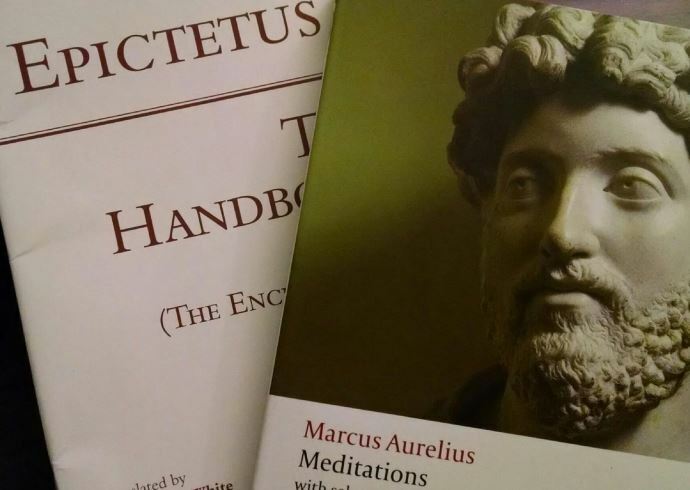 Incarcerated students read, critically analyzed, and discussed core Stoic texts, including Epictetus’ Enchridion and Marcus Aurelius’ Meditations, and then applied Stoic principles through daily practical exercises. This Stoic Camp, based on a program held every summer by the UW Department of Philosophy, provided an avenue for critical reflection, discussion, and practice of philosophical principles and acted as a pilot for future similar programming. In the spring 2017 semester, Dr. Susan Dewey supervised UW undergraduate students Khamis Peoples, Kathie Beasley, and Helen Heywood in the development and delivery of this remote instruction course. This seven week class provided an introduction to social work practices as well as to social structures in society, how they are best understood and, when managed, how they can advance women’s social standing. Students learned to critically engage with current social work practices, social structures, and social systems as they pertain to women’s lives while engaging in practical skill-building in the areas of continuing education, self-care, and financial management. 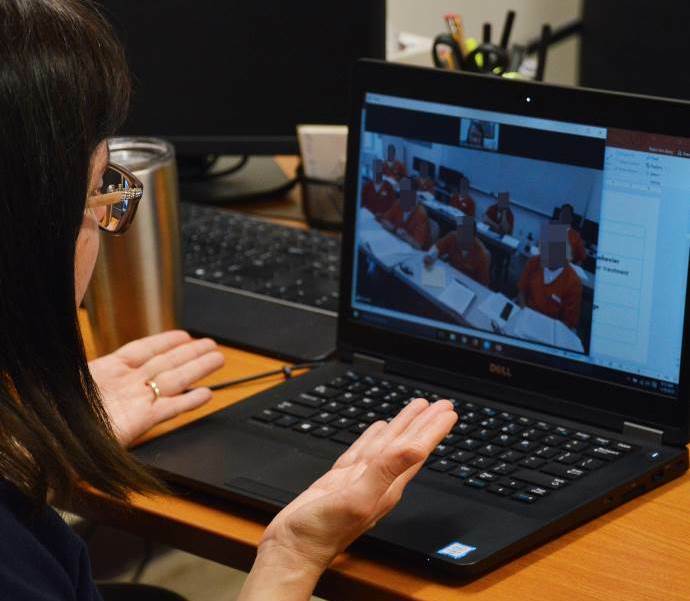 For 5 weeks in spring 2017, Wyoming Pathways from Prison coordinator Katy Brock and two UW undergraduate students led a distance learning course for women incarcerated at the Wyoming Women’s Center (WWC). This course focused on exploring the social and emotional journeys that women and their children experience through engagement with non-fiction and fiction texts as a means to facilitate critical and analytical skill development. During the fall of 2016 Katy Brock, Wyoming Pathways from Prison co-coordinator, developed and taught a tutorial education course for the women incarcerated at Wyoming Women’s Center (WWC). The purpose of the work was to train incarcerated women the fundamentals of educational tutoring, so they can tutor other incarcerated women who are working toward their high school equivalency, involved in vocational training, or interested in family literacy practices. The women were taught comprehension strategies, vocabulary development, and writing instruction. 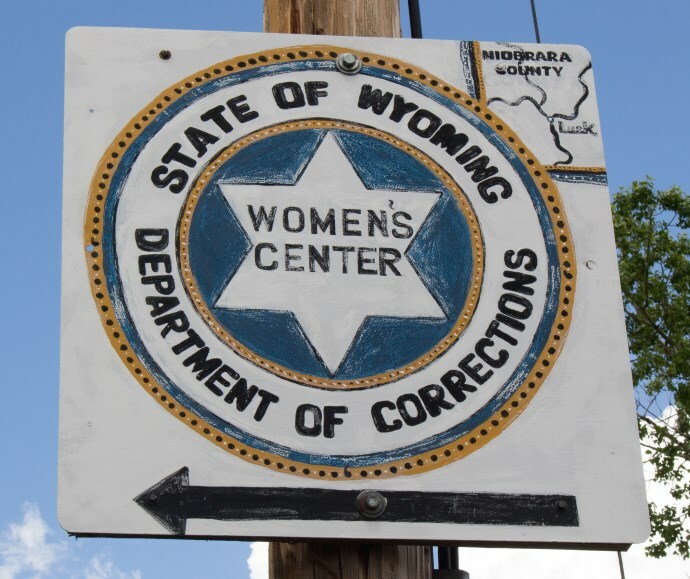 For three weeks over the summer of 2016, Dr. Susan Dewey (Wyoming Pathways from Prison co-coordinator) and Dr. Bonnie Zare provided an intensive learning experience to both University of Wyoming students and incarcerated women at the Wyoming Women's Center. This course involved collaborative work between University of Wyoming (UW) students/faculty and Wyoming Women’s Center (WWC) students to draft, revise, and prepare original work for publication in a special edition of Wagadu: Journal of Transnational Gender & Women’s Studies. In memoir, a unique storytelling form, a writer’s experiences take center stage as she recounts a series of events that played a formative role in her life. Following Wyoming Department of Corrections oversight and protocols, this class brought together UW students and faculty to help WWC students write a memoir for publication. Each class included substantial discussion of assigned excerpts from women’s published memoirs as well as time to develop and receive supportive feedback on works-in-progress. "This experience has given me back my life and joy. I’m so blessed to receive an education." "Thank you for taking the time to teach us and help us be better writers and people. You have helped me a lot. I’m very grateful. It has pushed me to go to school when I get out soon and not give up. Thanks again." "Thank you so much for all your kindness and willingness to help us all. I know that you have given me the courage to speak about my story. This class gave us the skills to move forward. I know that I’m blessed to be part of this group of strong and talented women. There are no words that can describe how much I appreciate the time, energy, and pure joy you all put into us."